Much like the icing on the cake, so is the baby mobile to the nursery. From the amazing aisles of handmade haven Etsy, we’ve picked our favourites from talented artisans! 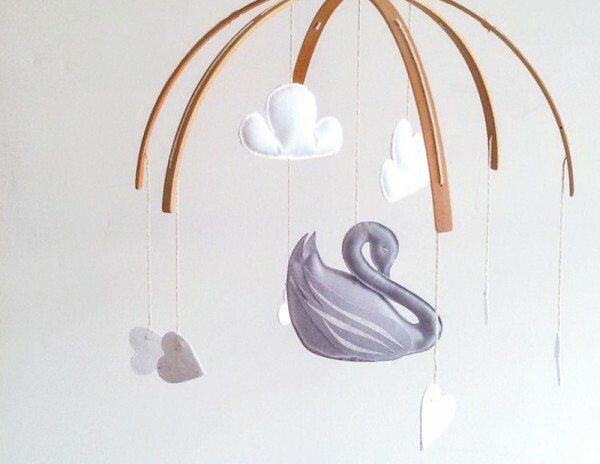 This grey swan baby mobile is nothing short of stunning. 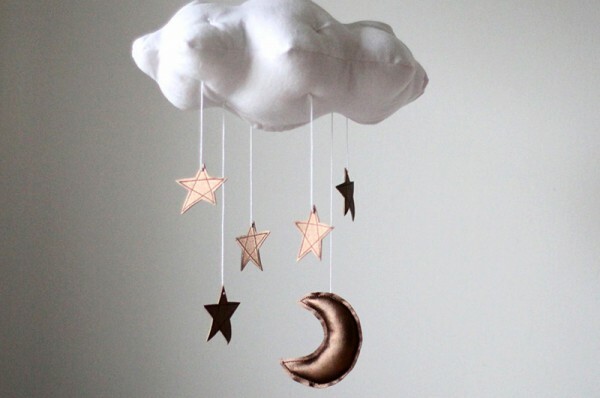 The perfect touch to an elegant nursery in all of its bird, cloud and heart shaped finery, it’s priced $120 from Birdynumnum Design Co.
An ultra modern nursery calls for a modern baby mobile, and we love this gem from Mountain and Valley. 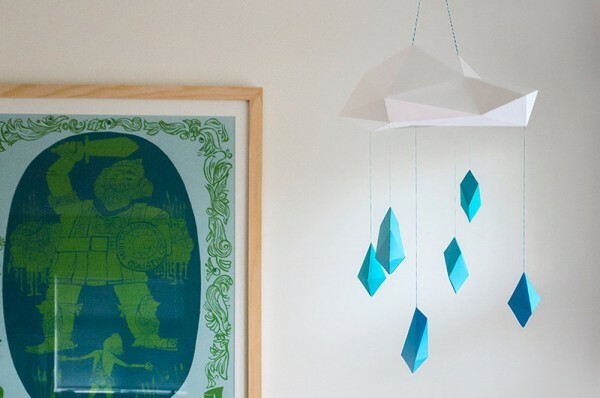 Part paper sculpture and a whole lot of geometric fun, the blue poly rain cloud mobile can be yours for $84. 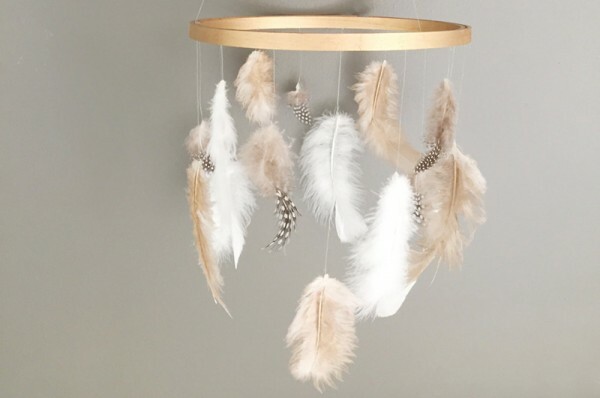 One of my favourites, the bohemian vibe of this gold, white and brown feather mobile is as beautiful as it is carefree. Floating feathers in the breeze – such serenity! It’s priced $$35 and available from Little Boho Co.
Reach for the stars (and the moon!) 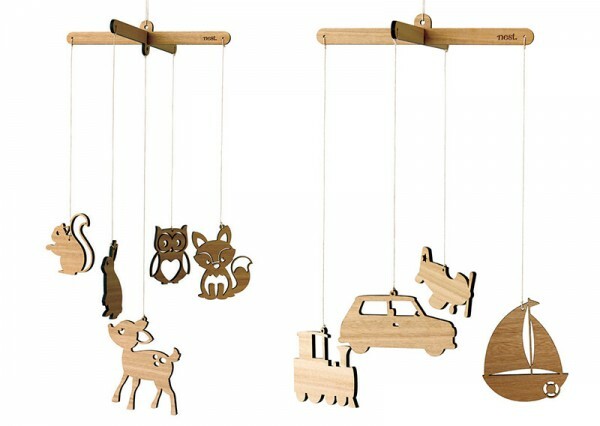 with this baby mobile from Baby Jives Co. Hitting all the current on trend bronze copper notes in faux leather and linen, it can be yours for $105. Handmade from plywood and felt, this mobile from Connie Clementine can be personalised with your bub’s initial and your own choice of colours. Priced $129. No one creates a felt mobile quite like Aprilderek. 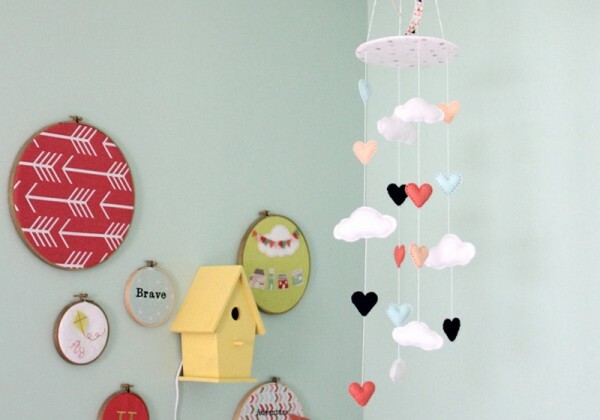 Her Elephant baby mobile, $140 (pictured top of post) and her Hearts and Clouds baby mobile, $106, are as sweet as can be – and you can choose your felt colours! There’s still plenty of love for owls in nursery decorating. 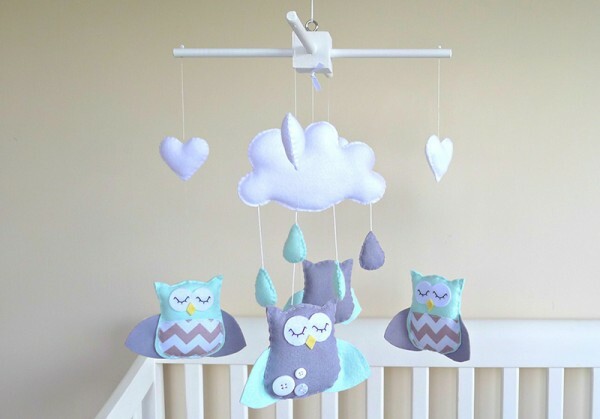 This owl and rain cloud baby mobile, $134, looks like it would be a hoot for bub to look at! You can find it at Maisie Moo. 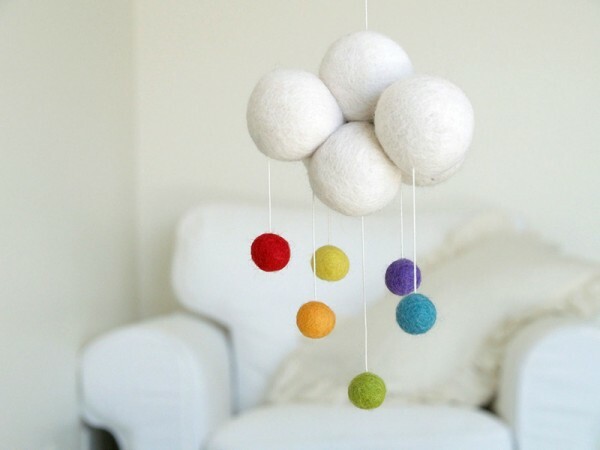 Cute and quirky, the white rainbow cloud mobile shows off a selection of beautifully arranged divine felt balls – a great option for a contemporary nursery. Priced $57, it’s available from Fairyfolk. For a mobile which is both beautiful and simple, laser cut wood is the way to go. Nest Accessories has several designs to choose from, including the Woodlands and Things That Go designs pictured here, both priced $69 each. 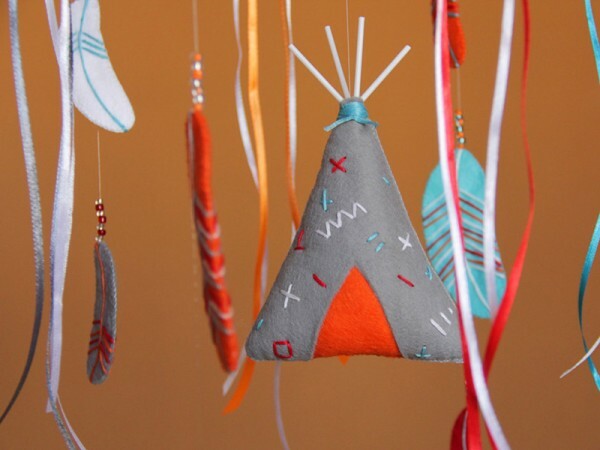 Keep the smallest in your tribe entertained with this tribal nursery mobile from Felt Baby Corner. Priced $82, it’s a showcase of vivid colour felt shapes, feathers, teepees and ribbons!